Volume 2 of the Aldabreshin Compass. The Aldabreshin Archipelago has been ravaged by war, its fragile alliances sundered by new enemies – enemies wielding forbidden elemental magic and spreading terror throughout the scattered southern realm. Warlord Daish Kheda has vowed to reclaim his people’s land. Exiled from the kingdom and separated from his family, Daish journeys north to seek answers. The wizard Dev has pledged to assist him, hungry to discover the secrets of this powerful dark magic. And it is Dev’s obsession that will lead the men to further conflict and into a political battle where strength in magic is key to the highest rank of all. 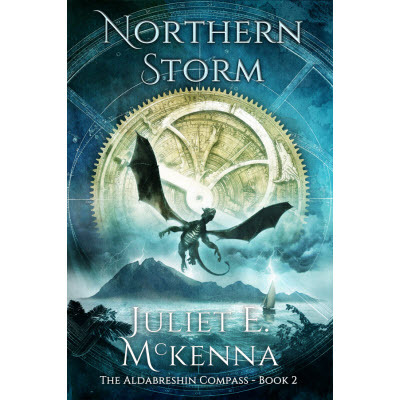 The Aldabreshin Compass is a major epic of empire and intrigue from an author whose storytelling has set fantasy fiction alight. To learn more about the book, and the rest of the series, see Juliet’s website.